Thanks for your comment and the links to the CAD systems. I haven’t used CAD tools since an introduction course I took at university. Is there a big advantage in using CAD instead of GIS for routing purposes? You mentioned Road Graph Plugin. All the requirements you posted are met by the plugin – as far as I remember. Thanks for the clarification! I didn’t know the term. Thank you for this great posting. I am really looking forward to getting pgRouting working, but ran into a problem during setup right off the bat. I am sure there is something basic I must be overlooking, but I don’t know what it is. When I ran the “routing_core.sql” I immediately got an error stating: “ERROR: syntax error at or near “TYPE” on the line “CREATE TYPE path_result AS (vertex_id integer, edge_id integer, cost float8);”. I used the tempate_postgis and am running postgis 1.5.2 on postgresql 9.0. Strange, but it might be that pgRouting doesn’t support Postgres 9.0 yet. Have you checked that? I’m still working on 8.x. You are correct. It looks to me like the 1.03 dll’s were not compiled for 9.0. I uninstalled 9.0 and reinstalled 8.4 and everything worked great. Thanks so much for this great tutorial in getting started! btw, do you know any other alternatives ? I’m not aware of a version supporting 9.0. I don’t know any alternatives for in-PostGIS routing. If you just need some routings every once in a while, you might be happy with the QGIS routing plugin. Thanks for the great tutorial. I am new to GIS and trying to gain insight doing a project. I have a question on pgRouting.. I have two separate shapefiles for bus routes and train routes. How to find shortest path by combining these two informations (meaning passenger can take bus then train etc). How should I go about using pgrouting. I would imagine that you can create a network by combining your bus and train networks (with the union operator). You basically have to make sure to have unique node ids and connections between bus nodes and train nodes where passengers can change from one into the other. That being said, if you just need to model which method (bus vs train) is more efficient, combining the 2 layers into 1 as underdark stated could be used by then adding different cost weightings on the ares that effectively says “its faster to take a train than a bus”. Then theoretically starting at Point A you would take the bus to the closest train terminal, ride the train, stop at the next train station, then take the bus to your destination. As underdark stated, you would have to take extra care to deal with bus route/train route node intersections that were not actually stops. Thank you both. I was totally stuck. But now I can give this a try. I keep getting an error when trying to run shortest distance. I’m on pgsql 8.4.8. Could you post the full query? Hello, I have the same problem! Try to use the exactly same casts I had in the example. pgRouting seems to be a little picky when it comes to data types. Make sure the apostrophes around the subquery are straight and not typographic ones. By the way – the all-known PDF workshop on pgRouting has typographic apostrophes in the queries. Hi James. Judging from the release log (http://www.pgrouting.org/docs/release_notes.html), pgRouting doesn’t support PostgreSQL 9.0 yet. Have you tried the pgRouting user mailing list yet? That would be my first spot to ask for help. Why do you not use assign_vertex_id function (http://www.pgrouting.org/docs/howto/topology.html#postgis) for building routable table. What pros of your approach? I wasn’t aware of the assign_vertex_id() function when I wrote this post. I doubt my method has any advantage over the built-in function. I’m a newbie with a Tiger2010 data (U.S., California) loaded into a PostGIS database. How do I convert that geometry type into the road point type in your query example? I can find distance ‘as the crow flies’ with good accuracy. I’d like to use PgRoute to find driving distance with reasonable accuracy. Is there something I need to do to prepare the road data from the Tiger2010 data for use in a shortest_path query? In Drive Time Isochrones – An Example Using Finnish Airports, I described a way to find the nearest network node to a point to a table of points of interests. I could imagine another solution finding the nearest network link and inserting a temporal node there. Using ST_LineLocatePoint() and ST_LineInterpolatePoint() but I haven’t tried that yet. ERROR: Target vertex was not found. I take my own case studies myedges.sql rather than road.shp, to truly master. I’d guess that you are trying to route to a node which does not exist in your graph. Check which node id you chose as a target of the route. Thanks for the wonderful post. It was really useful. Yes, you have to split the lines at the junctions. One way to do this is to use GRASS GIS clean topology. Hi, thanks for this very helpful tutorial. After doing every thing you posted, i finnish with a lot of doubts because the shortest_path function returns me an error “Target vertex was not found.”. When i made a hand test, connecting by myself the result set of roads, i realized that the nodes table has his own ID column (related with the row number) wich is different of the original ID of the rows fields. So for example a street in Buenos aires argentina the end_id was related with a street in Cordoba (800 km of distance between them). For that reason i need some help to understand how to connect them. Can PGrouting handle Turn Restrictions? And do PGrouting has logic for handle vehicle types restrictions, eg. this road segment is bus and taxi-only? Both should be possible. While simple Dijkstra doesn’t handle turn restrictions, there are other algorithms available that can handle turn restrictions. For bus or taxi-only segments, it should be possible to handle that when selecting the network for the routing function. This article has gotten me ALOT closer, however I am still missing a critical step somewhere. I do not have a shape_leng value in a table. Where did “ways” come from? Is that the table from the shp2pgql import? Once i have that, then i think that shortest_path will work. Then my next step is how to use lat/lon pairs to specify start and end to calc the distance. Eventually i want to use driving directions. Any suggestions are much appreciated! The “shape_leng” is an attribute of the dataset I used in this example. Your data will have different cost attributes but if it’s road network data, there should be some kind of road length value. For your next step: So far, I used a method of finding the closest network node to a given set of coordinates to get start and end node for the routing. Hi underdark- thank you for your reply. I apologize for the basic questions, but where does this “shape_leng” / road length value come from? Is this something that i have to run a specific sql query with postgis functions on? Is there an example somewhere? I followed the post, however i am running in ubuntu, and dont have PostGIS Manager application to load the data. In the post, there are 3 queries to run, the second creating “network” table, but after running that i do not have a length column, so the 3rd query for shortest_path fails. “shape_leng” is already contained in the original Shapefile downloadable from National Land Survey of Finland. If you are using a different dataset for this tutorial, you have to create your ownl length column. 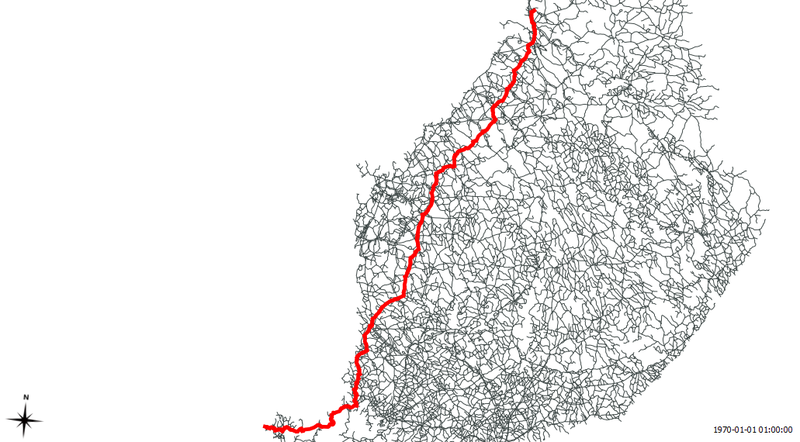 You can calculate the length of a line using PostGIS function ST_Length(). PostGIS Manager is a QGIS Plugin. You can install it in Ubuntu. Yes, i am from the US, so i wanted to use census Tiger shapefiles. I am able to run ST_Length, however per the documentation this says that it returns 2D length in spatial reference units. How can i convert these into feet / miles / m / km? Regarding the QGIS, i am running a headless server. I don’t “need” the visuals, but i guess they could help. The TIGER file I just downloaded contains an attribute called “LENGTH”. I assume they all look same. Just use that. Which tiger data did you use? I have the 2010st data (.shp, .prj, etc). Specifically i have arbitrarily selected: tl_2010_17023_roads to work with. When using the shp2pgsql, i do not get “Length”. I do have “linearid”. Sorry for the basic questions, i am stuck here though. What method are you using to see the “Length” attribute in the tiger data? Can you send me the name of the file you are using? and checked available attributes using QGIS. Maybe you should run your first tests on a desktop system before migrating to a headless server. forgot closing semi-colon on “create the routable network table” code snippet. Feel free to delete this post. I added all missing semi-colons. I copy these text into SQL Query dialog and run it, pgAdmin promote me some information, there is not function match the prototype startpoint(geometry). Can anyone let me know what happen here? You seem to be lacking PostGIS. You need to install both pgRouting and PostGIS. Thanks for your wonderful post , it is very useful in my application. i want to know in future if i m editing a line or adding some more lines then what i need to do ?? should i need to delete nodes and network and recreate it?? pls i need ur replay…help me. If you edit the links, you have to take care to also update the “to_node” and “from_node” values. You should also ensure to keep the nodes table up-to-date. If you introduce new links, you’ll also have new nodes. But it’s not necessary to recreate the whole network, you can update only the small part you changed. Thanks for your replay. I have added and edited couple of new/existing links and updated “to_node” and “from_node” in Nodes table.now i am not getting how i can update the small part (where i have added/edited links) in my network. pls tell me what changes i need to do in create network query to update my network. The automatic tools to create a network cannot update only a part of the network. It’s probably faster if you rebuild the whole network. A more efficient way would be to take care of these topics when editing the links but I haven’t tried set up such an environment yet. Things should get easier with PostGIS 2.0 Topology feature. Thanks for your tutorial it’s help me so much. Thank you very much for this article! It allowed me to start. Can I draw your article to write in French? That can be helpfull for some french people!!! Feel free to translate any of my posts into French. (For a list of all pgRouting-related posts see https://underdark.wordpress.com/tag/pgrouting/.) I would just ask you to provide a link back to the original post. There must be no trailing comma after the last field name. So, no comma after “target”. You will also need a cost field. It is mandatory. 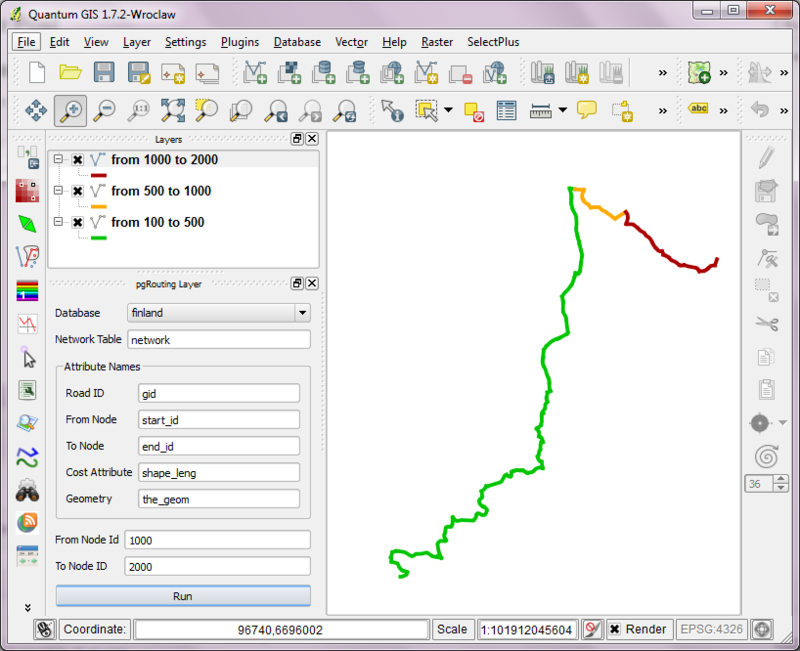 You could use ST_Length() to calculate the length of the road in PostGIS. 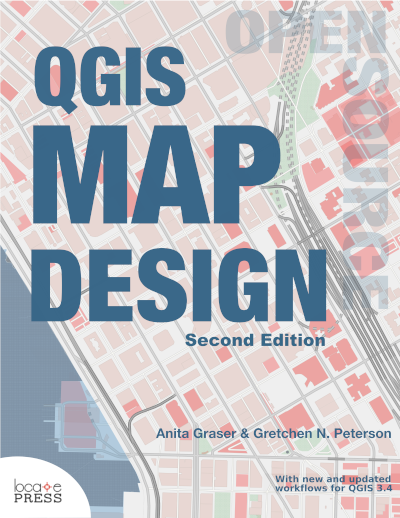 ” is not equal to ‘ in PostGIS. Please post your table layout so we can verify the table and column names. Which CRS are you using for your geometries? thank you mam i have solved these problems i mentioned earlier. i have configured fastsql layer plugin but i have got some errors there. i couldn’t found your GUI named pg-routing layer. It seems like you are lacking PostGIS extension for PostgreSQL. Are you sure you installed it correctly for you database? Also would you help me as to how do i load the map in the viewer using PHP as in what or rather how are the basic steps to load the map from the DB??? I’m afraid this is going into too much detail for the blog comment section. Let’s move this to email. Sorry I’m not familiar with mapviewerphp. 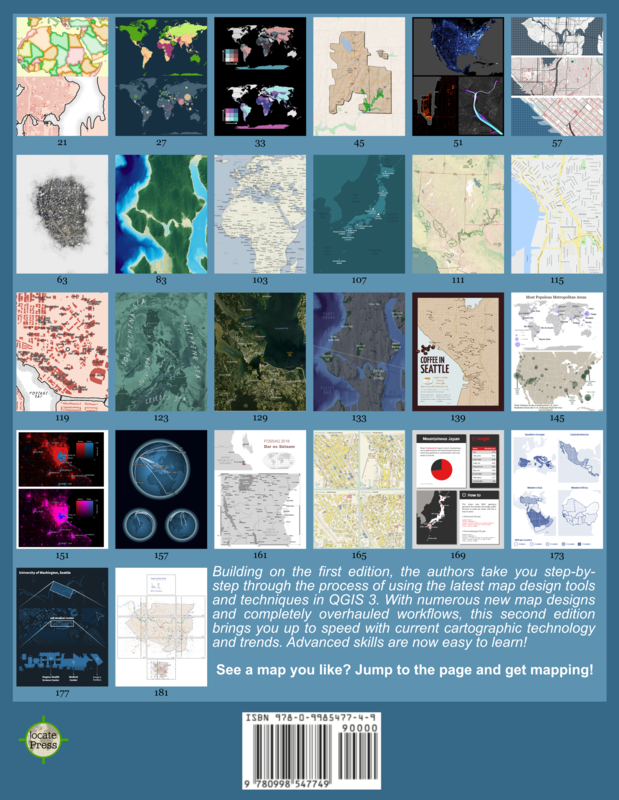 Thanks for your very useful post , it helped me to learn basics of PgRouting and postgis. I have a road map with direction information (FT – FromTo, TF-ToFrom, B- Both, N-Driving not allowed). I have to implement it in my routing network table. Please help with SQL query which will create new columns and fills them with direction, cost, reverse cost information. Also pls help with SQL query which will builds route using the road rules. Thank you. Is it neccessary for routing tasks split all LINESTRINGs into simple line segments (which contains two points)? Hi, I have used your begginers guide and everything worked well until i executed the “create table Network”. Im trying to create a network of the spanish roads, the shp file size was 220MB, I loaded it successfully to my db (after doing all steps described in your tutorial) and when I excecuted the “Create” statement for table network. The query started and It has been working for almost 15 hours long. Im not sure if this is wrong (even though I believe it is) What do you think? should I stop the process and start again? or Should I leave it workign for the weekend and maybe it will be finished on monday morning. Considering the size of your file it could well take more than 15 hours. I’d leave it running until Monday. If it hasn’t successfully completed until then, please look into assign_vertex_id() function which should be able to do the same thing. Thak you very much for your promtly response. I will leave this working until monday and let you know as soon it is finished (or not hehehe). Also I want to tell you that probably Ill be using your post “A Closer Look at Alpha Shapes in pgRouting” into a project in which I need to find some influence areas within some boundaries around a point. You’r doing a terrific job here. !!! What exactly is the road network shapefile from National Land Survey of Finland (NLS) that you used in this guide? You can download the road network shapefile from the NLS website mentioned above. Any other oad network shapefile will do as well. Some probably even have start and end nodes defined, then you can skip the first part. Not really a problem as such, more a comment and thanks. After being stubborn and looking for work-arounds for a while, I have finally uninstalled PostgresSQL 9.0 and gone back to 8.4 so that I can use PGRouting – and have managed to get it all set-up I think after following your tutorial. Instead of using the sample data however, I decided to use a Shapefile of RoadLinks for London. So having exported this as a shape, I then used the PostGIS ShapeLoader to load it into a table that I had created using the routing_template table from your tutorial. I then earlier today did the ‘Start and End Geometries’ query as well as the ‘Unique Network Nodes’ query and both seemed to execute properly. I am now running the ‘Create Network’ query and waiting for the results. It had been about an hour so far, but as the original shapefile was around 330MB I expect that I might have to come back on Monday to see how it has gone. Any thoughts/hints/tips on what I have done so far? Is Node1 the starting node’s id and Node2 the end node’s id? If yes, you don’t need to create the network from scratch. Everything you need is already there and you can start routing. What end result are you going for? Thanks for the reply. I didn’t apprecaite about not needing to build from scratch. I set it going as I left work on Friday and won’t be back there until Monday morning so I will stop it then if it hasn’t finished already. Building the network from scratch won’t have done any harm though I presume? It will essentially just have re-recreated the network again yes? End result? Long story, but initally I want to do some routing and the output to be quite detailed, which I don’t get in ArcGIS. What I mean is that I want the result of my query from point a to point b to be broken down and show the length of each road section that was travelled upon. So depart from point a, travel 15 metres along road id 1, 20 metres along road id 3, 150 metres along road id 3, arrive at point b. And to store each of these ‘bits’ as differnt rows in a new table along with a journey ID or something like that so that I know that they are part of the same journey. Then to repeat this a few thousand times. I will then bring in some data from another table about the amount of air pollution on each of those roads so that I can calculate how much air pollution someone has been exposed to in each journey. If I don’t bother with creating the network from scrath and just use the table I already have (with Node1, Node 2 as the start and end nodes) then when I try and run this query I get the error message “ERROR: value “4000000023178687” is out of range for type integer”. I understand why this is, it’s that the data in my Node column isn’t suitable for converstion to a Int4 data type. But I’m not sure how to fix this. Any ideas? Looks like you have to recreate int4 ids for the nodes. Which range do the node ids currently cover? Maybe it can be as simple as subtracting a certain value. Hi Anita. Yes I think that you might be right. The nodes are numbers like ‘400000046578’ and ‘400000046579’ etc. I guess I might create two new columns like Node1_new and Node 2_new and insert into them the existing Node IDs but with 400000000000 removed from the number. If I did this do I then need to repeat the ‘CREATE VIEW’ and ‘CREATE TABLE node’ SQL statements? You don’t need to run either of those queries. The goal of these queries is to create node IDs, but you already have suitable node IDs (if you substract 400000000000). Can you help me out if i have 3 points(startpoint,endpoints and viapoint(midpoint)) how to route this and find driving distance for same. And via point depends on me. I guess you could split it up into two separate routing operations. Comments on this post are disabled now. Please use http://gis.stackexchange.com for questions.